Discussions Magazine Music Blog: SADE returns with her first new album in a decade! SOLDIER OF LOVE due in February 2010! SADE returns with her first new album in a decade! SOLDIER OF LOVE due in February 2010! New York, NY– The wait is now over. 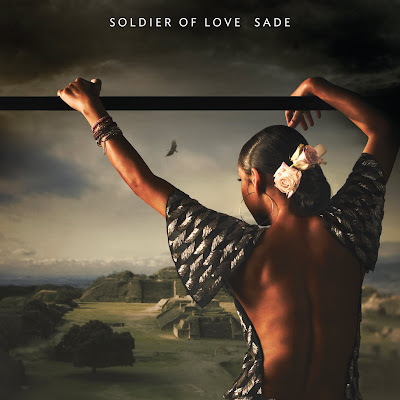 Epic Records is pleased to announce the release of SOLDIER OF LOVE, the highly anticipated new body of work from SADE. SOLDIER OF LOVE – which will be released WORLDWIDE on February 8, 2010 - is Sade’s first official studio album since the multi-platinum release of Lovers Rock in 2000. Known for their one of a kind timeless sound, Sade has enjoyed phenomenal success both internationally and stateside throughout the span of their twenty-five year career. Since the release of their debut album, Diamond Life in 1984 the band has seen all five of their studio albums land in the Top 10 on Billboard’s Top 200 Album Chart selling a total of more than 50 million albums worldwide to date. They’ve been nominated for American Music Awards, MTV Video Music Awards and have won three Grammy Awards – first in 1986 for Best New Artist, then in 1994 for Best R&B Performance By A Duo Or Group for “No Ordinary Love”, and again in 2002 for Best Pop Vocal Album with Lovers Rock. SOLIDER OF LOVE was recorded in England and produced by the band and their longtime collaborator Mike Pela.